To introduce your child to shading, set up a still life that is illuminated by a strong light source. I suggest for the first project an apple or a ball illuminated by a lamp. Observing is a large part of art, so before your children attempt to draw the ball and shade it, they should study it first. When Learning: Do not do shading from memory. When learning to shade, use models! I can't stress this enough. Never tell your students to shade a ball or an apple unless you have set one in front of them and use a light to cause distinct shadows. Look at this apple. I did this in a high school class. Our teacher asked us to draw shapes and shade them. Of course it was shading from memory. Does it look like anything real? 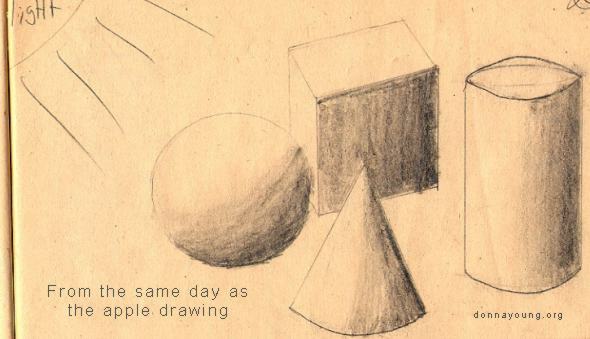 No, it is a poor example of shading. The shape is okay, the stem is okay, it obviously represents an apple, but the shading is not believable and the assignment was shading. Before going further into this, I am going to post another bad picture from this same assignment of shading without models. Your students should do exercises like the ones above, but it is not enough to teach tone or value. Your students need a model from which to study and to draw. A large part of learning how to draw is observation! In my drawing above, the tone is not that bad, but one item is missing and that item is reflected light. 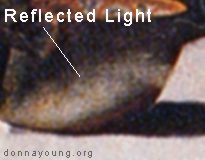 I am going to post two pictures that show reflected light on the subject. 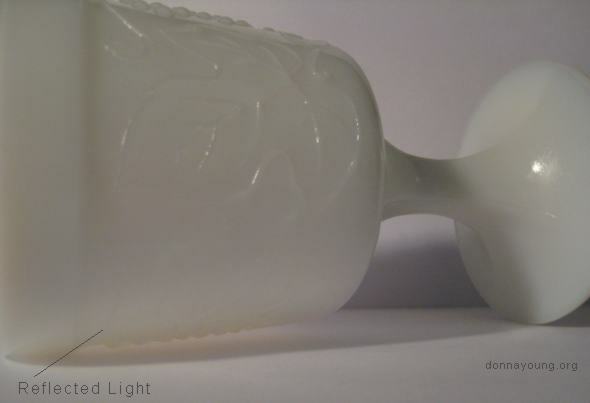 The first photograph is a white dessert dish on white paper. The second photograph shows the same white dessert dish on a dark green shiny surface. See the reflected light?. 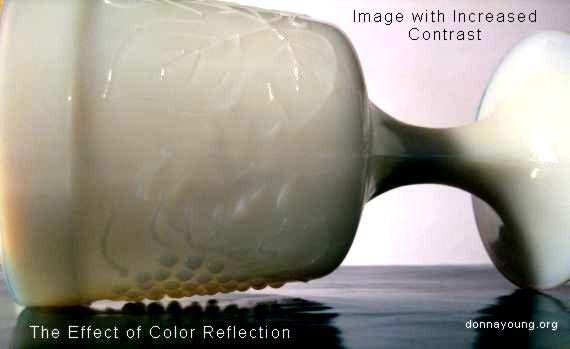 The reflection of light from the white paper is evident on the dish. Below: The darker color does not reflect as much light, but it still has an effect, it reflects color onto the dish. 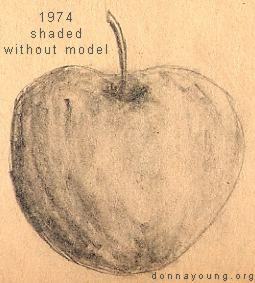 The artists that are known for shading are Caravaggio and Rembrandt. There is an example of these artists in the gallery Gallery 4. Go to your library and find art books that have more paintings by Caravaggio and Rembrandt. The text of some of the books might talk about their use of light.